Next up is a case from Moshi, this case is named Overture and is a great item for comparison to Beamhaus’ Billfold as both have similar designs, features, and functions. 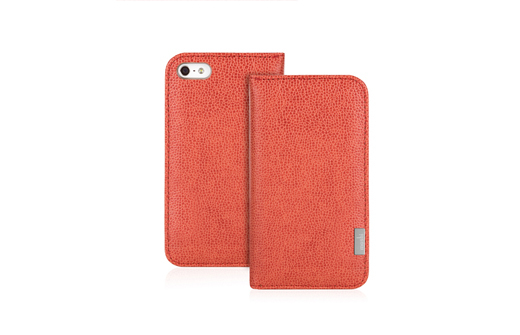 The Overture is a slim plastic case that the iPhone 5 snaps into and then wrapped in leather and has a cover that folds over the front of the face to keep the screen protected. 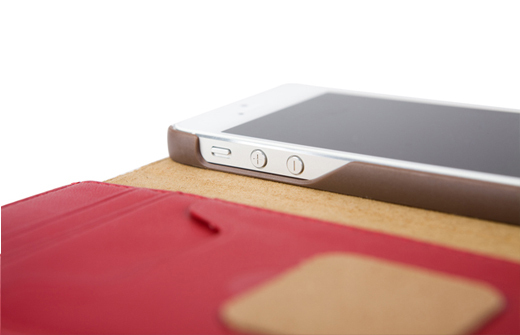 The front cover also includes 3 card slots, and a full length pocket for additional storage. As most cases for the ever coveted iDevices, we get full 360 degree protection, an opening for the camera, and as much function as there is fashion. In comparison to the Billfold from Beamhaus, Moshi’s Overture is far more functional, but in terms of quality, the leather quality of the Billfold was superior. I preferred the Overture for a couple of reasons, the first being that the phone snaps into a case leaving the front open so that you do not have to remove to check messages. the other reason in which I preferred the Overture was for the storage, it has a much better layout than the Billfold, one that actually has the potential to replace a wallet as opposed to being an accessory to wear with only certain outfits.